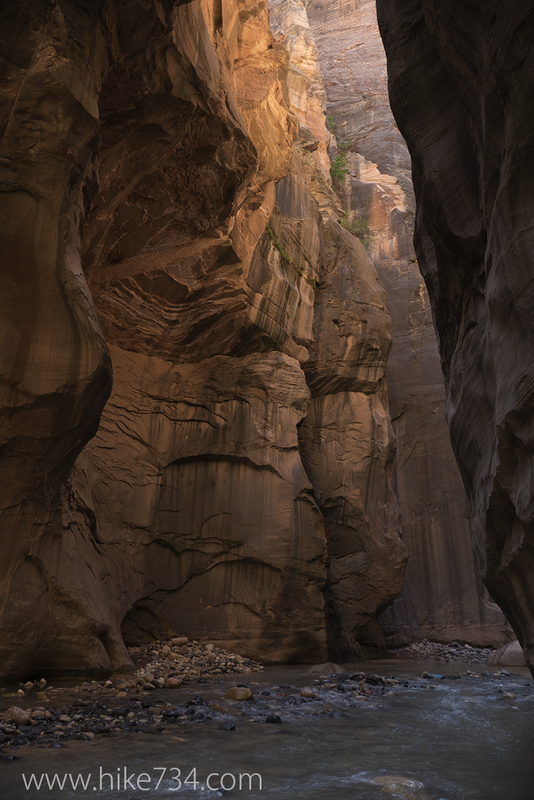 With impressive walls that tower hundreds of feet above your head as a result of the carving of the Virgin River, this signature Zion hike is popular for many reasons. This unique hike spends much of its time walking in the river making for quite the adventure. The hike can be a little over 9 miles long or short as you want. Before beginning this hike it is very important that you check in with the rangers in the Zion Canyon Visitor Center to find out the current water temperature, flow level, and potential for flash flooding. A wetsuit or drysuit may be appropriate for colder water. It’s possible that the flow may be too dangerous for any type of exploring. Always bring a warm, non-cotton shirt and have items you want to keep dry in a waterproof container. This hike starts on the Riverside Trail which is a paved path following along the Virgin River. Once at the end of this pretty and mellow one mile walk, the change of trail could hardly be more drastic. Where once the trail was pavement, now it’s a walk in the water. You will be crossing the river numerous times to get to the sand and rock benches, and often walking, wading, and even swimming directly in it. Close-toed shoes and a walking staff are highly recommended as the river rock and running water makes walking tricky. The canyon walls have closed in on you since the paved path of the Riverside Walk, but still give plenty of ledges and sunlight to vegetation. At almost two miles into your journey, you reach a feature called “House Rock” that you must walk or wade around. Beyond the rock, the high wall features become even more dramatic. As the water runs around bends in the river, the erosion has created walls that curve up over your head, then shoot vertically. Little vegetation grows as there is less sunlight and even fewer sandbars to support vegetation. Orderville Canyon, a smaller, but wide canyon breaks off to the right. Time permitting, it’s a wonderful canyon to explore. Just past Orderville Canyon, you reach a section of the Narrows the locals call “Wall Street”. Here you stare hundreds of feet up the towering rock walls carved out by the river. This place will leave you awestruck, unable to capture it with photos or words. After “Wall Street”, the canyon begins to slowly open up again with vegetation returning. Upon reaching the multiple, small springs cascading from the rocks, called “Big Spring”, turn around and head on back the way you came. An alternative is the “Top Down Route” hiking the entire length of the Narrows, which can be done as an overnight backpack or long day hike. 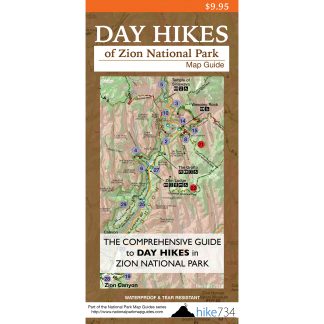 This 16 mile route requires a permit regardless if you plan to day hike or backpack the length. To do the full length, you’ll also need a private shuttle to the trailhead at Chamberlain’s Ranch.